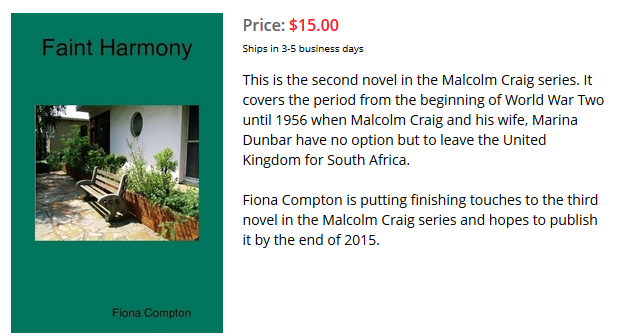 This blog has been created to promote Fiona Compton's fiction. 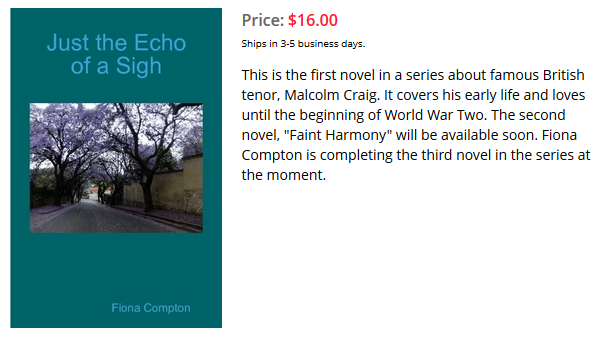 I Can't Forget You was my first novel, originally published in 2010. 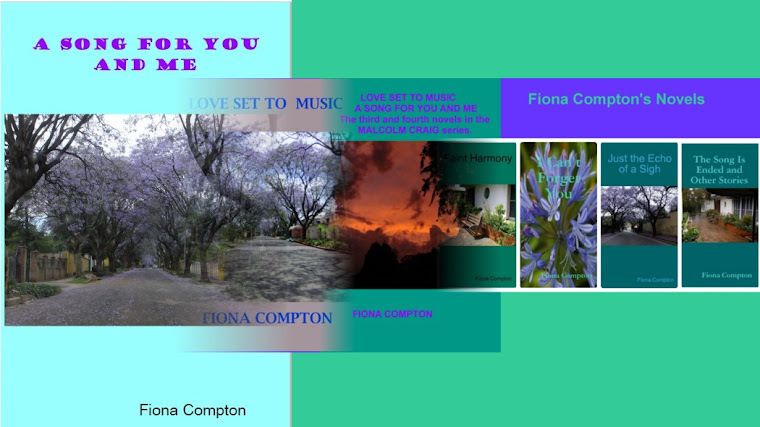 Once I started reading Fiona Compton's romantic novel, I could not put it down. I soon became involved in the emotions and events of the main characters' lives. Derek Bailey attracts females and trouble wherever he goes, due to his charisma and talent. How the women in his life deal with subsequent events must touch a chord in the heart of every female reader who has ever fallen prey to the charms of a philanderer. The writing style is flowing and the dialogue authentic. Place descriptions set the scene firmly in 20th-century Britain. I particularly enjoyed the Scottish dialect (the author having been born in Scotland, this too is genuine! )and the descriptions of daily life in London. This is no run-of-the-mill romantic novel. Due to the author's musical knowledge, "I can't forget you" has a depth and authenticity lacking in most novels of this genre. You will not want to put this book down before discovering what the final outcome of the hero's romantic entanglements is to be. 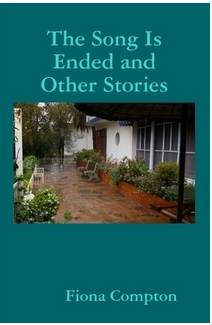 At the same time, I published a collection of short stories - The Song is Ended and Other Stories. 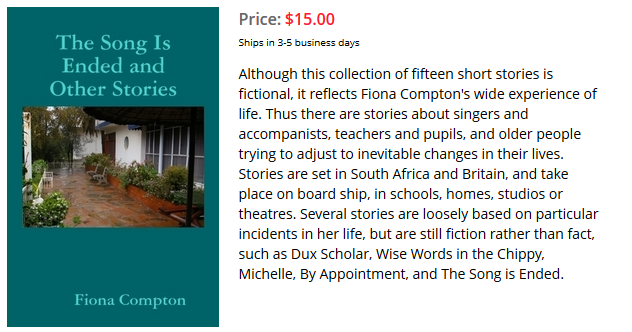 Any fan of short stories will enjoy this selection of entertaining tales by Fiona Compton. 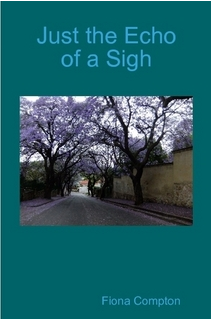 The author presents women's viewpoints, emotions, and experiences accurately and uniquely. The women characters are interesting, complex, and sympathetic (the men are mostly cads). One wonders how much is autobiographical. The writing is descriptive and precise. The style flows nicely, making for easy and pleasant reading. The Wedding Singer, Miss Stratton Disappears, and The Sunset Gleams, to name a few, all have the right combination of humour and sadness. 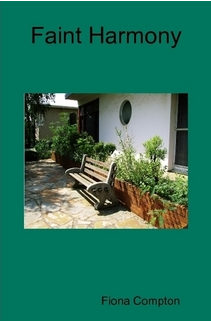 In short, these well written stories are very enjoyable. Each short story in this collection is refreshingly different and will touch a chord in the heart of most female readers. All the characters are masterfully and realistically portrayed. Many of the incidents depicted are those which affect all women at various times in their lives and with which the reader can readily empathise. Some bring a chuckle and a feeling of optimism, others a feeling of sadness. All left a lasting impression on me. 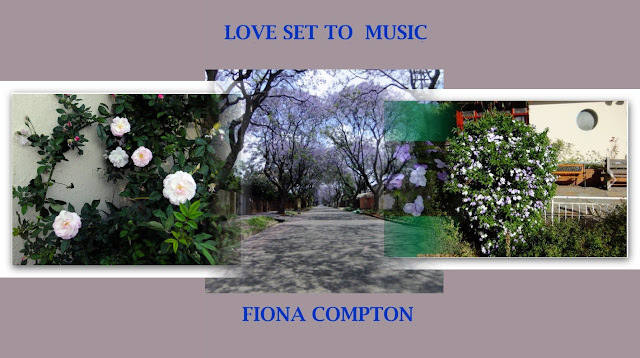 Fiona Compton’s voice is a charming mix, evidence of her Scottish, South African and musical roots. These stories particularly appeal to me as an expatriate South African, as many of them richly evoke the South African lifestyle. However, all are timeless in their own right and certainly worth reading by both women and men, whatever their nationality. It was published at the end of 2013. 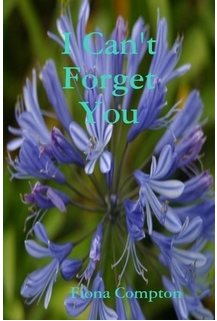 I Can't Forget You - taster from my first novel. Random passage from my new Malcolm Craig novel.